Sad news out of Philadelphia. I had the pleasure of crossing paths with Deen Kogan quite a few times over the years. At Book Expo. A handful of lunches in Philly. Even got to buy her a drink or two at NOIRCON's evening outings. She was all brass in all the best ways. Deen told it like it she thought it was and didn't much care what you thought about it in turn. But above all she loved books and supported literature in many, many ways. 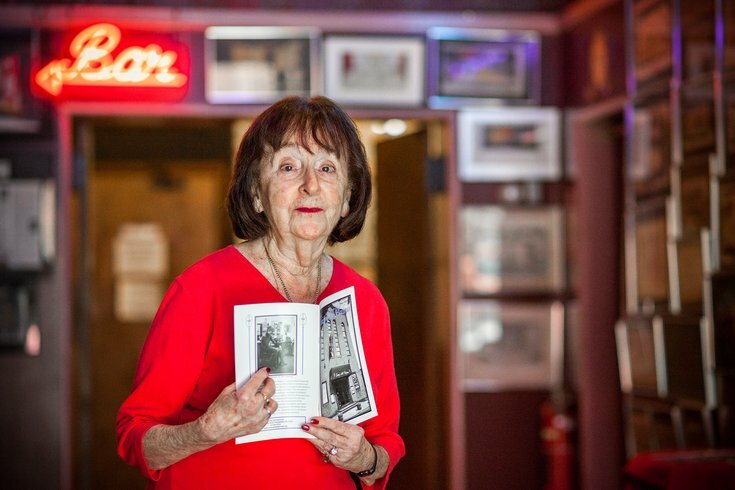 She was Philly's First Lady of Theater, having bought and ran the Society Hill Playhouse from 1959 to it's closure in 2016. Her work with Lou Boxer running Noircon shed a lot of light on an otherwise neglected realm of litearture and film. She loved her dobermans and her Irish (writers and otherwise). You'll be missed, Deen. Sláinte. Check out this great article in Philly Voice about Deen's retirement from the theater. We're over half-way through issuing the complete works of Margaret Millar as eBooks. Below is a handy visual guide to what's available now. Click through each cover for more title information in the Syndicate Bookstore. All eBook covers by Jeff Wong. Syndicate is thrilled to announce that we're issuing stand-alone trades for several of Margaret Millar's classic works of suspense. This is a perfect way for new readers to discover the MWA Grandmaster's brilliant work and also get a print copy of artist Jeff Wong's excellent covers. In February we're publishing the Edgar Award for Best Novel-winning BEAST IN VIEW and following that in April with the cunningly plotted A STRANGER IN MY GRAVE. More stand-alones will follow. Stay tuned for those announcements. Hailed as one of the greatest psychological mysteries ever written and winner of the 1956 Mystery Writers of America Edgar Award for Best Novel, Beast in View remains as freshly sinister today as the day it was first published. Thirty-year-old Helen Clarvoe is scared and all alone. The heiress of a small fortune, she is resented by her mother and, to a lesser degree, her brother. The only person who seemingly cares for her is the family’s attorney, Paul Blackshear. A shut-in, Helen maintains her residence in an upscale hotel downtown. But passive-aggressive resentment isn’t the only thing hounding Helen Clarvoe. A string of bizarre and sometimes threatening prank phone calls has upended her spinster’s routine. Increasingly threatened, she turns to a reluctant Mr. Blackshear to get to the bottom of these strange calls. Blackshear is doubtful of their seriousness but he quickly realizes that he is in the midst of something far more sinister than he thought possible. As he unravels the mystery of the calls the identity behind them slowly emerges, predatory and treacherous. Jim and Daisy Harker are a young, well-to-do couple in San Felice, California, and though childless they maintain the sort of domestic happiness that others can only aspire to. But a darkness exists at the outer edges of Daisy’s mind and she has no idea why it’s there. In a series of reoccurring nightmares she wanders a cemetery, eventually finding her own gravestone. According to the dream, December 2nd, 1955 is the day she died. Street smart but honorable, Stevens Pinata is a man with his own mysteries. An orphan left on a church doorstep as a child, he isn’t even certain of his ethnicity, let alone his goals in life. As a private investigator he works with bail bonds and quick shakedowns. But when a pretty young woman like Daisy Harker comes into his office with a crazy request to “find her lost day” he is intrigued. He is too decent to take advantage of a crazy woman, but Mr. Harker is a wealthy man and who is Pinata to turn down money? What unfolds is a masterpiece of suspense and one of the books that forever changed the domestic thriller. Millar’s razor sharp prose cuts a masterful plot and slashes at the racism, sexism, and entitlement endemic to an era otherwise celebrated for its prosperity.